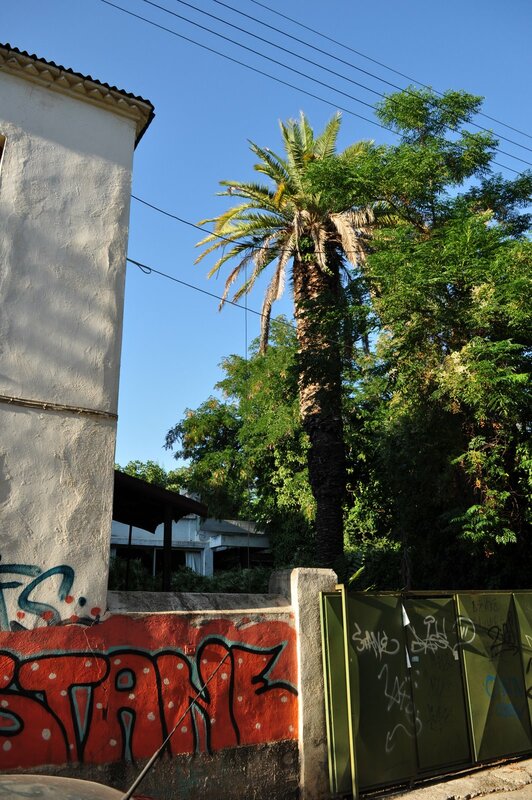 Marousi, or Amarousion, gained brief international exposure during the 2004 Athens Olympics because the main Olympic stadium is located within the municipality (the Wikipedia entry is a little overboard when describing modern "Maroussi"). 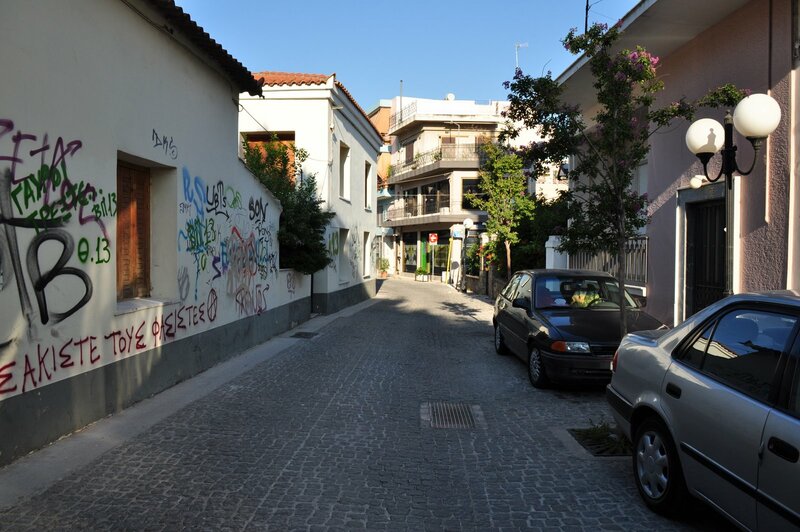 Marousi is where I grew up in the late 1950s and early 60s. 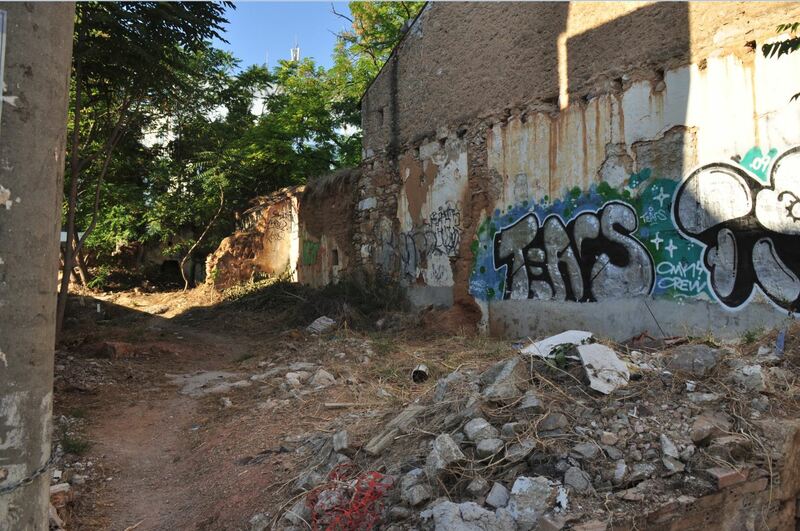 In those days, Marousi was more of a village than the bustling city of more than 100,000 that is today. 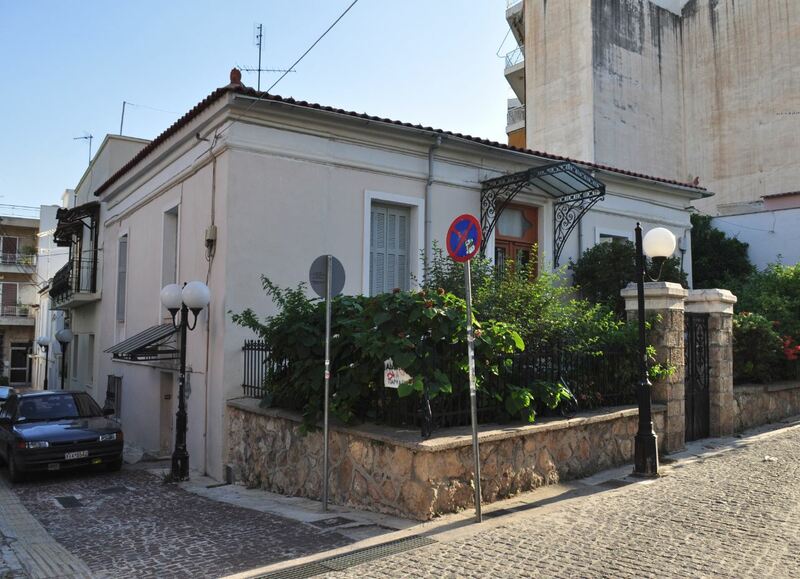 It was a cluster of mainly modest one-storey homes, interspersed with a few that were quite prominent as Marousi, as early as the 1910s, was attracting upper-income people who wanted to have a home out in the country, but not very far from Athens. 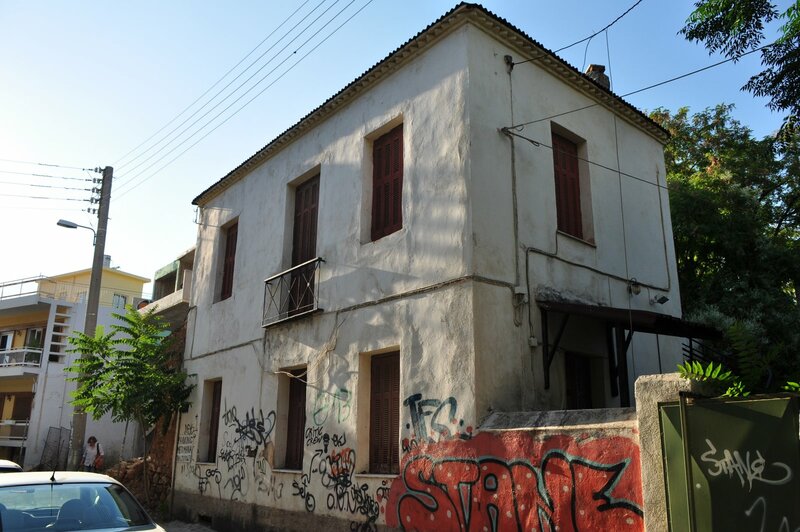 It was in Marousi that my maternal grandparents arrived as refugees from Asia Minor in 1919. Having lost literally everything, they ended up renting the ground floor of a 2-storey house which, miraculously, has survived to this day. 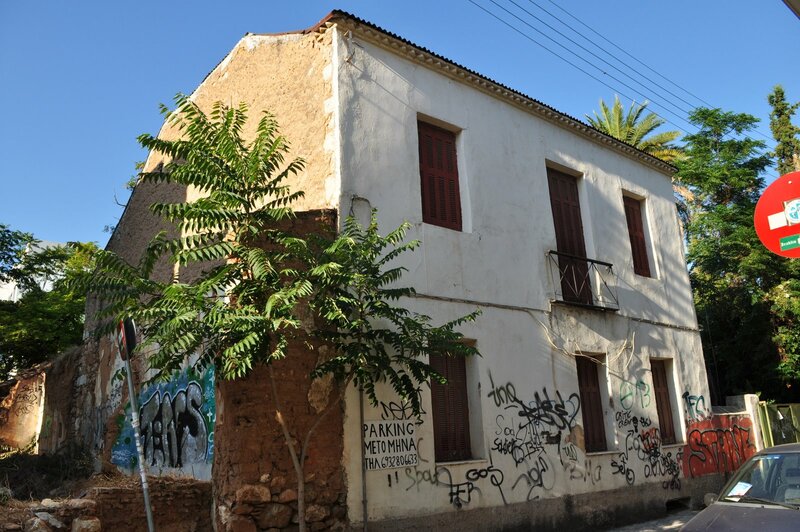 I say "miraculously" because Marousi, just like Athens in general, has gone through a massive transformation in the postwar years that has left almost nothing that could remind of the old village intact. Today, Marousi is noisy, polluted, and crowded to despair. Most of the days of the year, air pollution readings are through the roof. Marousi is cut into sections by at least two major traffic arteries that carry hundreds of thousands of cars every day. 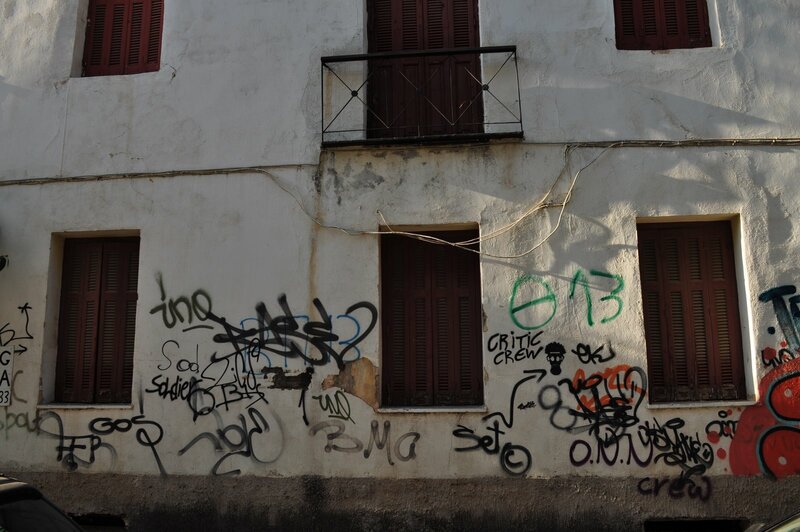 Note the graffiti, this scourge that is disfiguring structures throughout Athens. I have happy memories of the old house. We had very little in terms of comfort in those days... but life was a lot simpler! I can still see my grandfather sitting under the palm tree, reading the paper, the little coffee table next to him bearing the cup of strong Greek coffee and the inevitable glass of ice-cold water. This was the max level of "luxury" in those days. 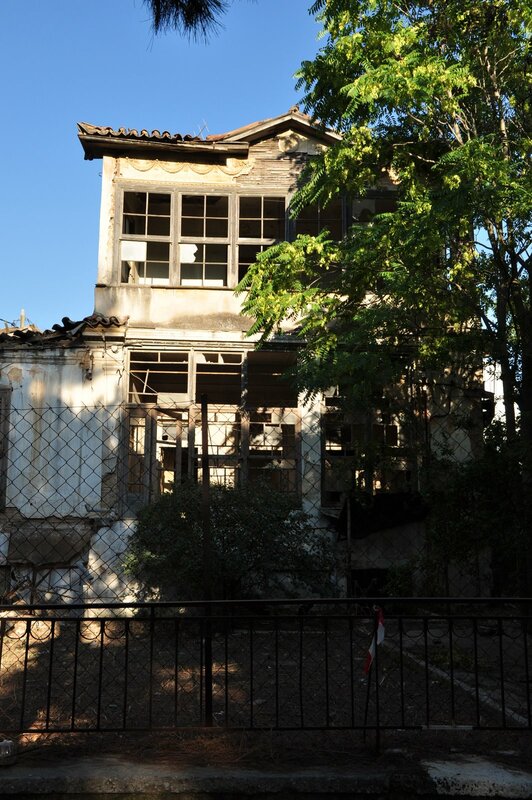 The old house. Still standing.